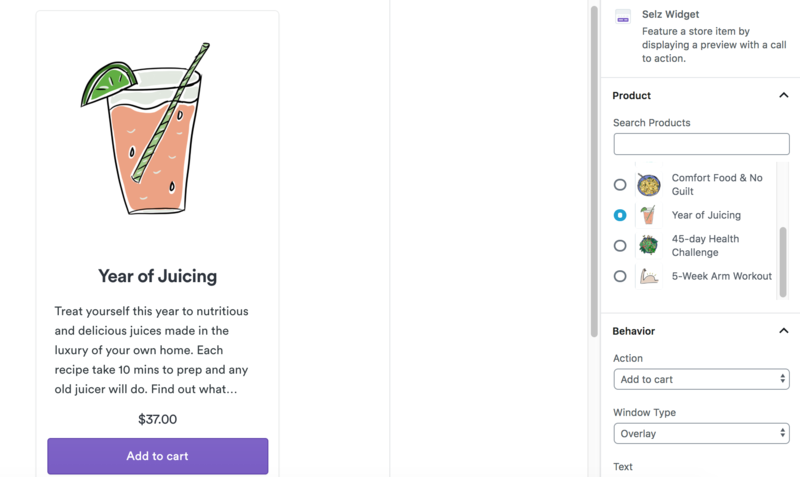 The Selz WordPress eCommerce plugin lets you easily add Selz ‘buy now’ buttons, product widgets, and even your entire store to your WordPress.org site. The best part is that you don't need to deal with any coding, so you can start selling products or digital downloads from your WordPress site within minutes. If you already have the Selz plugin, be sure that you are using the latest update to take full advantage of the features. Note: You might need to reconnect your store when updating to the latest version of the Selz plugin. Install the plugin either by downloading it here, or within the plugins section of your WordPress dashboard (search for 'Selz'). Once installed, activate the Selz plugin. You should see Selz icon on the left navigation. Click ‘Settings’ and then ‘Connect’ to connect to your Selz account. Allow the permissions on the following page to proceed. 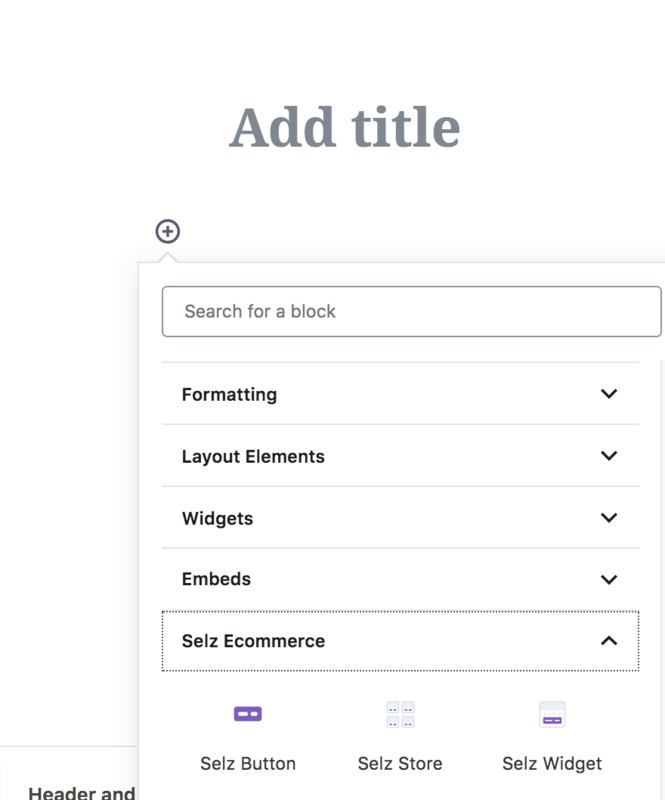 Note: The latest version of the Selz Ecommerce plugin only works with the Gutenberg editor within WordPress. Add a button to your page by clicking 'Selz Button' in your content block dropdown on a page or post within your WordPress account. Select the product you would like to link to by using the menu to the right of the editor. Add a product widget to your site by clicking 'Selz Widget' in your content block dropdown on a page or post within your WordPress account. Select the product you would like to showcase by using the menu to the right of the editor. You can adjust the widget behavior, width, and display just below the product selection. Add an entire store to your site by clicking 'Selz Store' in your content block dropdown on a page or post within your WordPress account. 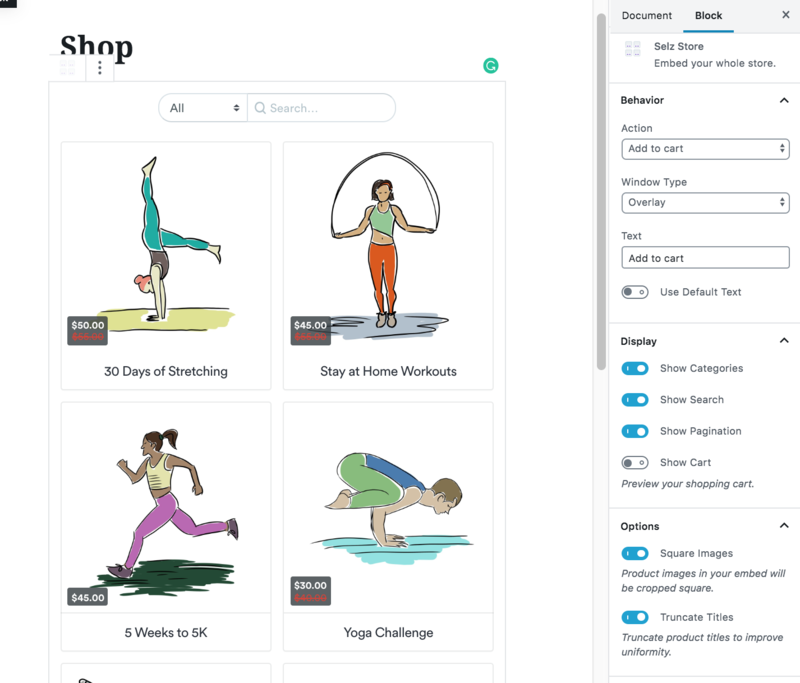 You can adjust the store behavior, display, and options. Note: You might need to adjust your page or post width in WordPress to ensure that your products display correctly. You can also choose whether or not to display the shopping cart on all pages of your website. This setting is defaulted to 'off' but can be enabled within the Selz Settings in your WordPress admin. Alternately, you can copy the embed code for your button or widget and add it to your WordPress page using this guide. *If for some reason this doesn't work for you, you might be using a WordPress.com site. Click here for additional instructions.